Could Climate Change Actually Affect Your Home's Value? Climate Change? It’s always nice and warm in Mesa Arizona so a couple of degrees here or there may not make an impact. 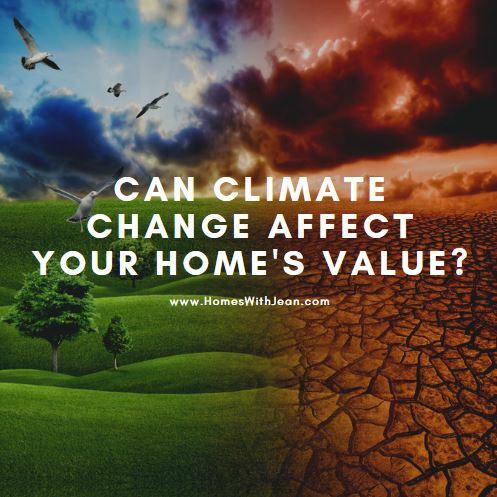 But could global warming, AKA climate change, actually affect your home’s value? While we might not be affected here in Arizona, I’m reminded of that George Strait song “Oceanfront Property in Arizona”, rising sea levels can affect waterfront real estate values sooner than we think. The Federal Emergency Management Agency (FEMA), announced in 2018 that it would be updating New York City’s flood maps as a result of rising sea levels and shifting climate change forecast. 80% of property owners who have experienced flood damage in New York City didn’t have flood insurance. While we might not have to worry about waterfront property, homes that are in flood areas or plagued by fire can be more concerning. Between 2014 and 2018 were the warmest years on record and it could affect home values in several ways. This could mean higher insurance premiums, higher property taxes, and increased property values for some homeowners. In areas where waterfront homes are an issue, there could be less demand for these types of homes and while it’s impossible to predict the future, rising temperatures and rising sea levels could increase flood-prone areas resulting in adjusted home values. Related: Should you worry about erosion on waterfront property? Higher insurance premiums are probably the most predictable. Several zones that FEMA has considered safe from flooding could now be in riskier zones increasing insurance rates. Related: Do I need more insurance on waterfront property? This is why, people are flocking to warmer, drier areas like Mesa and Scottsdale. While we are definitely not the most populous state in the country, there are some heavy benefits to the Mesa area.